It may be hard to believe, but your car's speedometer isn't always accurate. 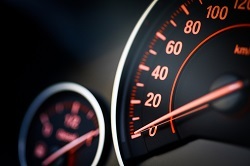 If you've been charged with reckless driving by speed, a speedometer calibration can be used as evidence to help you avoid jail time, licenses suspension, and other penalties. factory with a variance of one to three miles per hour. Over time, this variance increases due to general wear and tear. Problems with your car's tires or transmission can also create speedometer discrepancies that make it difficult to determine how fast you’re driving. A speedometer calibration certificate can be used as evidence in your case, as long as the certificate comes from an in-state shop. Many calibrations from out of state are inadmissible because they don’t meet Virginia’s authentication requirements. However, speedometer calibrations carry one significant problem: not all calibrations produce the same result. An unskilled technician can negatively affect test results, as can improper equipment used to perform the test. For accurate results, a dynamometer should be used to test your speedometer. Your car is placed on the machine with its wheels resting on the dynamometer cylinders. As the wheels turn, the machine indicates how fast your car would be traveling on the road. If there's a discrepancy between the dynamometer reading and your car's speedometer, this can be used to reduce or drop your charge. Some calibrations actually hurt your case. However, if you receive a calibration certificate that indicates you were actually traveling faster than what the officer who ticketed you listed, you don't need to provide this document to the court. If the prosecution doesn't request it, the calibration certificate belongs to you alone. Don't let one mistake ruin your future. Attorney Charles V. Hardenbergh has dedicated his career to helping Virginia residents handle their reckless driving cases. Call (804) 835-5127, or complete our online contact form to schedule a consultation. What Common Mistake Is Made With Traffic Cases?